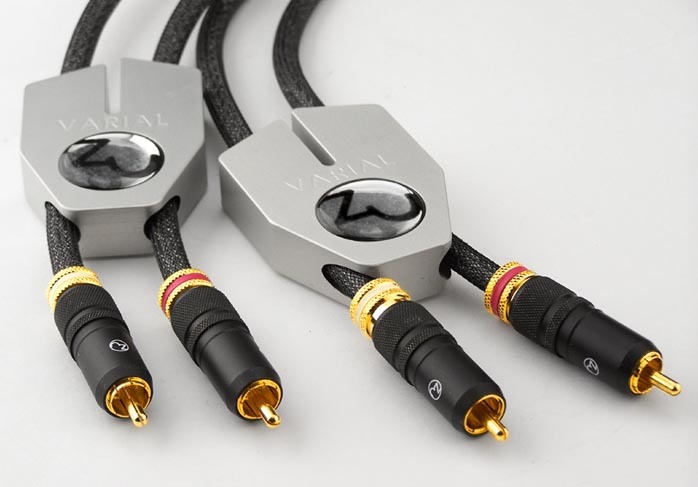 At first glance it may seem surprising to see another review of some of Zu's cables. After all, Srajan spent long pages reviewing the Varial interconnects already and Zu is not introducing new designs nor bringing a new evolution of their proprietary B3 technology. So what's the big deal? For the conspiracy theorists out there, it may be evidence that Zu is on a mission to take control of audiophile minds around the world and that 6moons is its secret arm to achieve exactly that nefarious goal. As far me, my motivations are far more pure and practical. First and foremost, Zu's power cables have received far less attention from the press than their other cables or speakers. I wanted to find out for myself whether the B3 architecture yielded as much benefit in a power cord as I've experienced with their interconnects and speaker cables. After, all the perfect symmetry between line and neutral as well as the much reduced radiating field inherent to a B3 architecture should be right at home when conducting power from an outlet to a component. But would it yield the same sonic benefits as I've learned to enjoy in their Gede and Libtec cables - the same focus on getting me to the heart of the music, digging out the minutest of nuances hidden in a record? A side question was to figure out if a full set of Zu cable would sound better than the sum of its parts. In other words, were there synergies to be had or would the addition of similar sonic signatures translate to excess. 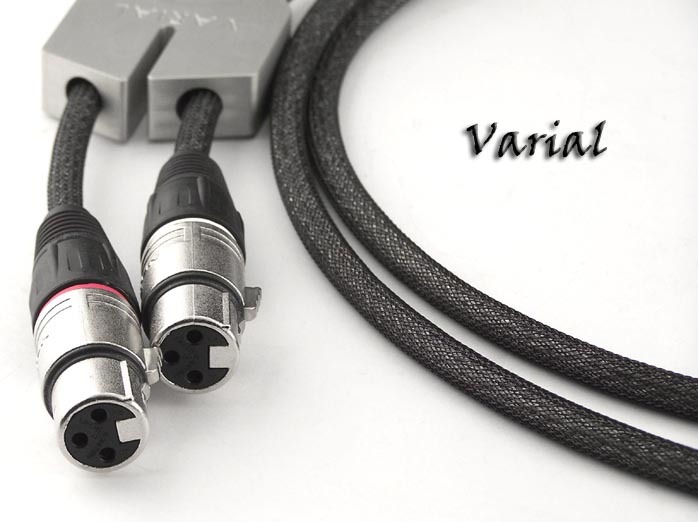 Also, one has to be impressed with a company willing to peg their top-line cables against their own 'lesser' models. Gede versus Varial. Bok versus Mother. 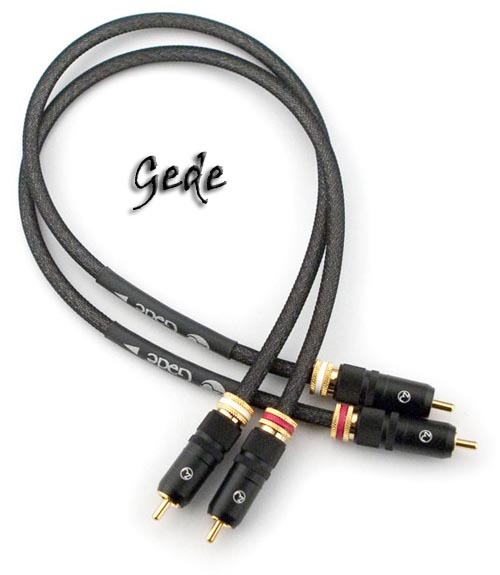 Same B3 geometry, same hermetically sealed Wattgate connectors on the power cords or locking RCA connectors on the interconnects... the law of diminishing returns already tells us that the much cheaper Gede and Bok should rip their heavier brethren to shreds in terms of value. Yet the folks at Zu did not flinch for a second at the proposed comparison, probably confident that I would find out that more than just an arrow-shaped aluminum block separates the interconnects; and that Bok and Mother differ in other aspects than just sleeve color. Yet while unpacking, I was wondering if I was going to hear any differences that could be reported. Differences between products whose descriptions on Zu's website are almost identical, word for word, short of their list prices - if Zu were not making additional claims for their statement products, was there anything more to be heard that might be worth spending hundreds of dollars on? Before I proceed further and try to answer these questions, a few words about methodology. The six cables under review (2 Mothers, 2 Boks, 2 Varials  all Gedes being my own) arrived the same day that the Ronin RPDs speakers showed up at my home. It had not been planned that way but various delays in assignments had everything show up at once. I was now faced with the challenge of burning in six different cables and a new pair of speakers at the same time and report on differences I expected to be subtle at best while listening through unfamiliar speakers. Although not ideal, the way I resolved this was to put all six cables and speakers in my main system at the same time and ignore critical listening for a few weeks as the various components settled in (and believe me, those cables do burn in with some very significant mood swings over the first 200 hours). I then proceeded with subtractive auditions, downscaling the cables, Varial to Gede to Monster Cable interconnects; Mother to Bok to stock power cords, to detect a reduction in sound quality. In theory one would want to change the cables one at a time but there were just too many combinations and new elements to make this a viable process (at least not if Zu and my editor wanted to see this review published in 2007). One thing I should not have worried about was the impact of the Ronins on this process. Those speakers are the most transparent to gear change I have had in my system. The smallest differences, especially in the midrange, could be heard thanks to their incredible ability to convey nuances in that range. If anything, the RPDs probably helped me detect subtleties I would have otherwise missed through the FJ OMs I usually have in my main system. detect, the differences between the two Zus were far more difficult to pin down. Both Bok and Mother cables brought a greater sense of ease, blacker backgrounds and an overall fluidity to the music that stock power cables can't claim even in my remote countryside neighborhood which should be relatively immune from the kind of power contamination you expect in a metropolis. There was also more perceived detail, probably due to the quieter background, and more spacious soundstages when either of the cords were added to source or amplifier. The surprise to me was that the added sense of ease and fluidity also came with greater perceived dynamics and added weight in the bass as though the amplifier had been given a little more headroom and power to operate (and this is not a trivial benefit when it comes to driving the Ronins to their full potential). Where the Mother power cable pulled ahead was actually in tonal density and weight over a slightly lighter Bok. Although it is very fashionable to say so lately, the Mother did sound more analogical and fluid, slightly less HiFi-ish than the Bok. I could also hear small differences in absolute detail retrieval between both - mostly strings and brass instruments gained a more lush presentation with the Mother power cable plugged into both the A5 CD player and McIntosh amplifier. It seemed that the background noise fell even lower and allowed the smallest structural elements of the sound to come through freely, adding more texture to instruments. Interestingly, the slightly lighter complexion of the Bok was a better match for the already tonally dense SoundQuest SQ12 than the Mother's. effect of this cable, I was also able to detect it to a lower degree on sources. All in all, the Mother takes everything that makes the Bok a great cable a step further - small gains in absolute terms but delightful ones in a system capable of letting them through. To sum it up, if upgrading stock power cables to a Bok is a no-brainer considering its price and the substantial level of improvement it provides, going from a Bok to a Mother, with the added investment it represents, may not be necessary for everybody. 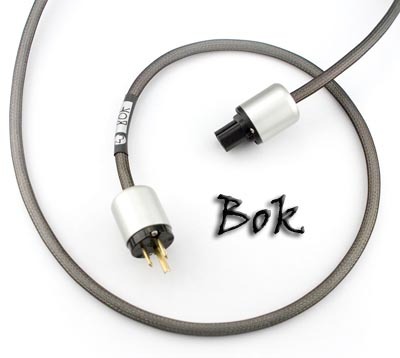 Darker and denser sounding gear may actually benefit more from Bok in the first place and it will take a very transparent and neutral source, amplifier and speaker system to harvest the additional benefits of the Mother power cable. As I put the slightly less transparent FJ OM speakers back into my system, the differences between Bok and Mother melted away and I could only tell them apart because I had learnt to detect their effects through more revealing speakers first. 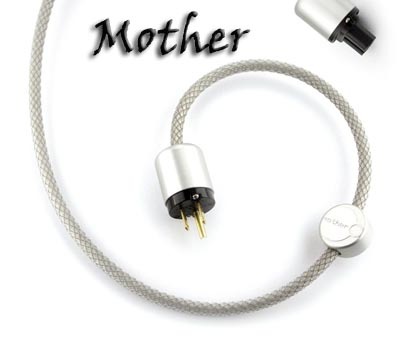 On the other hand, on a truly transparent system, Mother cables will drop the noise floor even further, adding the last level of tonal veracity to the presentation for an investment quite reasonable when you compare it to what other statement power cables go for these days - and without the inconvenience of more conventional garden-hose cords. 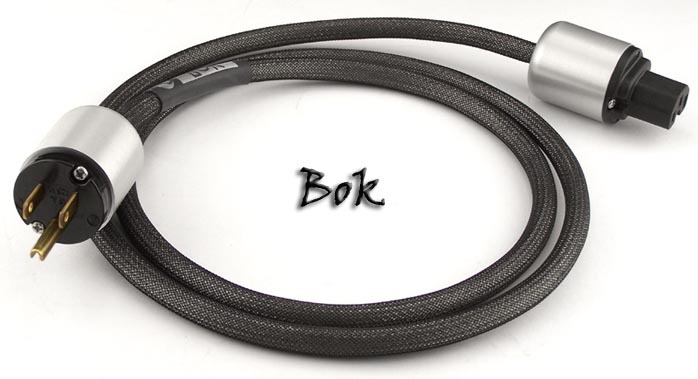 Either way, you won't go wrong; at $349 for a 1.5m-state-of-the-art power cable, Mother is the better of the two and a bargain but at $219 Bok is an even greater steal and as expected, the better value in Zu's B3 power cables. 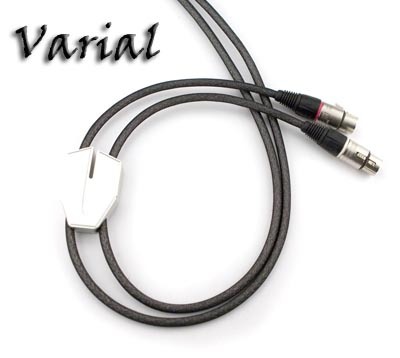 It may not be the case in all systems but the differences between Gede and Varial were more dramatic for me than the differences between the two power cords. Although the interconnects had slightly different tonal hues, with the Varial again being a little denser and darker than its cheaper brethren, overall these are both neutral interconnects, the Gede giving the upper midrange just a little more glitter and emphasis (we are in the realm of nuances here; there is far more difference in that domain between my Musical Fidelity and McIntosh amps for example). What really made the Varial stand apart was its talent with small signals and low-level detail retrieval. The Gede is good with low-level detail transmission but the Varial is in a class of its own, a class no cable below $500 I have heard so far remotely approaches. [Owning Varials as well as Crystal Cable Ultras and Stealth Indras, I fully concur with Frederic. The Varial may not cost a fortune but it sounds as though it does. This is particularly fantastic during background listening sessions because the degree of nuance these cables refuse to strangle in the pianissimo ranges is simply uncompromised - Ed.] I am far from having heard them all but the Varial really represents a new standard for me. The similarly priced Slinkylinks can reach an even higher level of intimacy in the midrange but the Varials offer a completely transparent window on the music from the deepest bass to the limit of my hearing in the treble. I won't bore you with the list of discs I have been spinning lately; my whole collection was systematically raided just to find out what I had been missing before the Ronins and Varials arrived. One disc that stood out and which I am listening to as I am writing this is Modest Mussorgsky's Pictures as recorded by Fritz Reiner and the Chicago Symphony Orchestra [RCA Red Seal 82876-61394-2]. This rightly famous recording of the golden era of stereo is a gorgeous palette of orchestral colors and dynamics and I knew that from before. What the Varial got me to hear was the tape hiss but even more importantly, the wealth of details hidden inside the tape hiss - chairs creaking, musicians moving, the ultimate seconds of note decays. I am not a detail freak for the sake of hearing details but the Varials helped achieve a greater sense of thereness, a more true-to-life rendition of ambient cues... and my musical enjoyment thrives on those. The "Marche miniature" by Tchaikovsky on the same disc is a perfect example of this latter point, with the triangle taking a whole new dimensionality, complexity and extension than it had before, closer to what this small and lonely instrument achieves in a concert hall. The interesting question is how much of this came from the Ronins and how from the Varials. Well, a little of both actually. With the FJ OMs in place, the Varials still sounded far more detailed than the Gedes but not quite as dramatically so as with the Ronins in place. Overall it seems that any reasonably transparent system will benefit from the added resolution of the Varial whereas it will take the most resolving equipment to take full advantage of an upgrade from Bok to Mother. That said, a warning is necessary - none of those cables hold back anything when it comes to the energy they transmit in the upper part of the musical range. Therefore they will not be appropriate for taming an aggressive tweeter or a bright upper midrange. The Zus did not get along with my Rogers and their finicky tweeter nor did they do well with the Dana monitors under review that boast a detailed but lively and somewhat forward upper midrange. 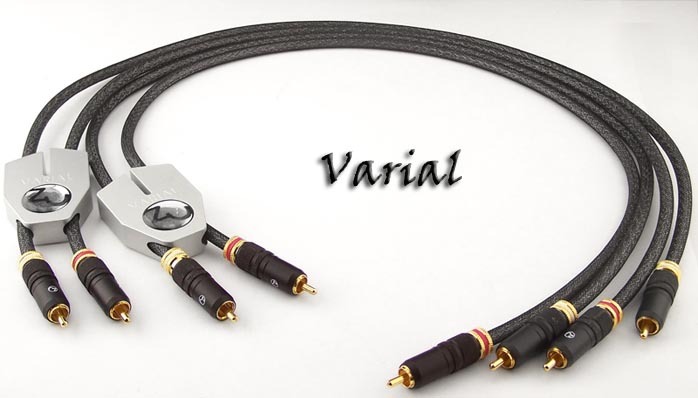 One last thing that became obvious after hours of listening is that the more Mother and Varial cables a system contains, the greater the effect. Whether that's brand synergy at work or just additive effects of smaller differences I don't really know but when I set up one last experiment, I was really surprised by the differences when I downscaled my system from all Mother and Varial cables to Bok and Gedes and then to an all Cobalt Ultimate set of conductors. Not that the latter was poor but some of the magic just vanished. Small signals no longer had the same clarity; the soundstage did not seem as vast; bass was lighter - the overall effect being greater than what I would have expected from the differences of changing one cable at a time. This speaks highly in favor of upgrading all cables at once if you choose to go down that road. Another good reason to upgrade all cables at once is that anybody who has burnt in Zu cables knows, it is a lengthy and painful process so you might as well only go through it once as the reward is really worth the mood swings your system will inevitably suffer during the process. If I try and sum it up, all Zu cables tested during the past few weeks clearly belong in the neutral, detailed and faithful category - no question or ambiguity there. What the top cables offer in addition is a sense of transparence, elegance, refinement and fluidity that while not absent from Bok and Gede is clearly less obvious than with the Varial and Mother. When one considers that accessing the next level up of elusive qualities would require jumping very high into such brands as Stealth, JPS Lab or Crystal Cable, with a price tag thousands of dollars more than Zu's best, it helps putting the 'hardly' higher price of Mother and Varial into perspective - they are incredible bargains, period. But as with all top-line products, their little brothers will deliver 90 to 95% of their performance for less money. The real secret of HiFi is that magic resides in those last 5% and that with a truly neutral and revealing system, this magic will be very easy to hear and enjoy. Quality of packing: Each cable shipped in a sealed plastic pouch. RCA plugs protected with individual wrapping. Reusability of packing: Cardboard box can be reused at least once. Ease of unpacking/repacking: Very easy, just tear plastic pouches open. Completeness of delivery: No issue, six different cables in various sizes and connector types delivered as agreed. Quality of owner's manual: None. Website comments: Complete information on burn-in procedure but precious little on cable technology itself. Global distribution: For the US - Zu website, eBay auctions, AudiogoN auctions. Outside the US, dealers are listed on Zu's website. Human interactions: Professional and courteous, very quick shipment. Other: 60-day home trial period. Pricing: Prices are as listed on Zu's website; lower prices may be obtained on most Zu cables through eBay and AudiogoN auctions except for their top of the line models, which are not offered in this fashion. Application conditions: Extremely truthful, quiet and transparent cables, not for tone control purposes. Will expose any hot tweeter mercilessly. Final comments & suggestions: The most cost-efficient cables in the high resolution, neutral category.